JOE CULLEN has received a new boost with the backing of leading breakdown, recovery and transport specialists CMG. Cullen’s reputation and status in darts has continued to rise in recent years and his performance at the World Matchplay, where he reached the quarter-finals, seems to have signalled his arrival as one of the sport’s top players. The Yorkshireman won his first two professional titles in 2017 and has transferred his PDC ProTour form onto the big stage this year, enjoying several superb runs on the European Tour before his fabulous showing at the World Matchplay in Blackpool. There, he enjoyed dominant victories against higher-ranked opponents Gerwyn Price and Daryl Gurney before being edged out by two-time World Champion Gary Anderson in an epic last-eight contest – which earned Cullen a new army of admirers. CMG will sponsor Cullen with immediate effect, enjoying a prominent position on his shirt in all televised, live-streamed and exhibition events. CMG will also support MODUS Events as an associate sponsor. Cullen said: “I’m delighted to receive the support of CMG. It is always a confidence boost when such a top quality company wishes for you to become an ambassador for them and I will sport their logo with pride. Jason Brice, Managing Director of CMG, added: “We are delighted to support Joe in what we believe will be an inevitable rise to the very top of the darts world. 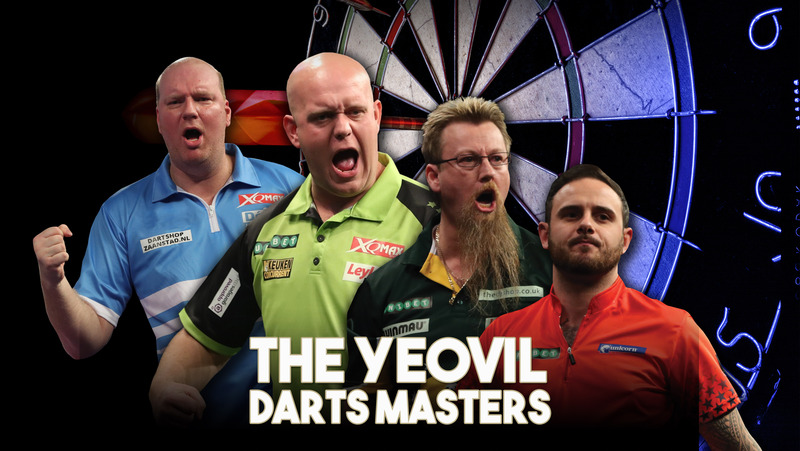 See JOE CULLEN in action at The Yeovil Darts Masters – click above image for details. Information about all our Darts events is available at dartshop.tv where tickets can be purchased.